Monica Lake is an established television actress known for her starring role on the drama Love Cruise. 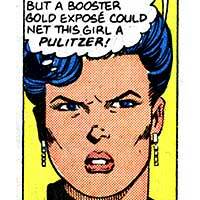 Monica Lake romanced Booster Gold very publicly in order to use his publicity to enhance her own star power. Booster Gold and Monica Lake appeared in ads for Dusk perfume together. She was quite determined to land a starring role in Booster Gold: The Movie. Monica Lake was one of several women to date Booster Gold, though like Staci and Amy, Booster hasn't kept many around for long. The star reporter for Metropolis' Daily Planet newspaper, Lois Lane is married to fellow reporter Clark Kent (see SUPERMAN). Lois Lane has interviewed Booster Gold on several occasions, recognizing that a hero with a public persona is good copy for newspaper headlines. Despite admitting that Booster is good press, she has never shown much approval of his glory-seeking ways. Lois is often accompanied by Jimmy Olsen, a cub reporter and photographer for the Daily Planet, or her editor, Perry White. Paul Lincoln was born and raised in the slums of Metropolis at the dawn of the age of super heroes. 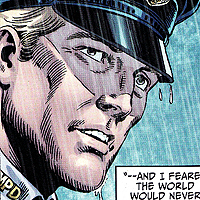 Over the years in his role as a police officer, Lincoln has observed the heroes of the DC Universe at their best and worst. Paul Lincon was present to pay his respects at the funeral for SUPERMAN where Booster Gold was among the JUSTICE LEAGUE pallbearers. The Lords of Chaos and Lords of Order are diametrically opposed cosmic beings who have struggled against one another for eons for control of the Universe. All incarnations of Dr. 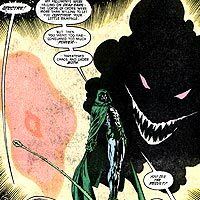 Fate (see JUSTICE LEAGUE and JUSTICE SOCIETY OF AMERICA) have to some degree been an agent of the Lords of Order. Booster Gold and the JUSTICE LEAGUE were confronted directly by members of the Lords of Chaos and Order as they confronted the GRAY MAN, the heroes were unable to ascertain the true nature of the situation and the creatures involved, as they were too complicated for their human brains to understand.